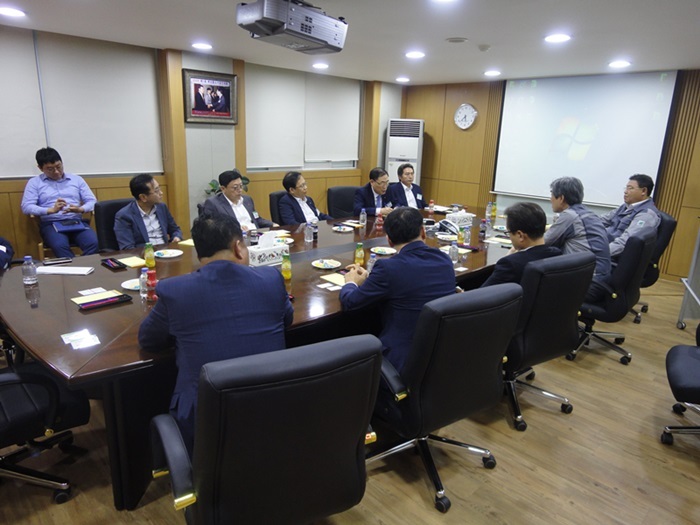 On September 22,2016 delegation of Busan Small & Medium Corp. Advisory Committee visited shipyard of Mastek Heavy Industries to hear the difficulties and suggestions from the shipyard. 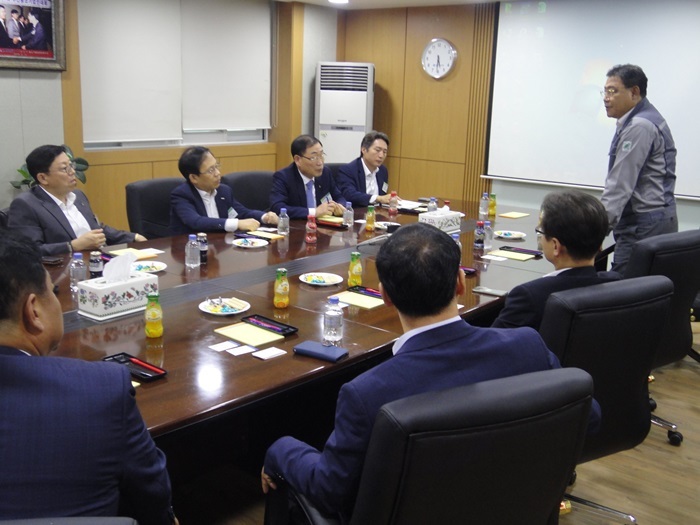 The leaders of Korean Eximbank, Ksure, Korea Credit Guarantee Fund etc. have joined the meeting arranged by Small & Medium Business Corp., Busan. CEO of Mastek Heavy Industries delivers welcoming address for the attendants and proposed continued attention and support in terms of finance for the small and medium sized ship building industries.